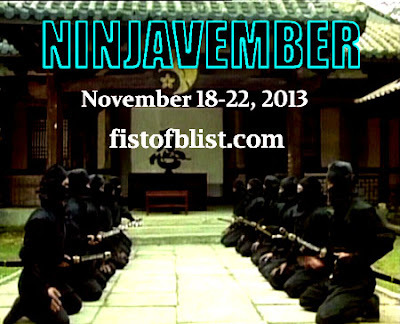 During the week of November 18, 2013, Fist of B-List will be sponsoring its first-ever Internet-wide blogathon dedicated to the best and baddest and worst in ninja film: Ninjavember 2013. What do you have to do to participate? 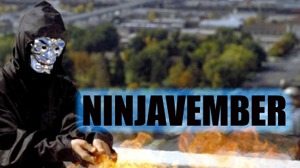 Write a review or feature about a ninja film (or films), post it on your blog or website during Ninjavember Week, and send me the link on Facebook or Twitter via a private message (or just email me) so I can add it to the grand roster of participants on a dedicated section of this site. Recycled posts are welcome, but new content is preferred. Use this image in your post! Or don’t! It literally makes no difference, because at the end of the day -- NINJAS!